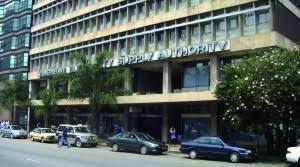 Scores of angry Zishavane residents last week stormed Zesa offices to protest over a power outage that has seen some suburbs spending a month in the dark. Some of the affected include Government houses in Ward 3 and parts of Sabi and Mandava suburbs. The blackout has been prompted by damage to the main transformer that supplies power to the areas. Protesting residents, who were accompanied by Zvishavane town council finance committee chairperson, Councillor Fatuma Phiri, accused Zesa of being both insensitive and unresponsive. Clr Phiri expressed dismay over Zesa’s apparent failure to resolve the month-long power crisis. “What is happening is that for the past month, half of Ward 3 has been without electricity and Zesa was informed about the problem a long time ago, but nothing was done up to now,’’ she said.